This beautiful Ferretti 881 RPH yacht was launched in 2012 and last refitted in 2017, she is now available for a Sardinia yacht rental. 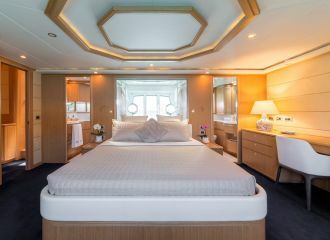 Her spacious exterior living makes her an excellent charter yacht for exploring the Costa Smeralda. 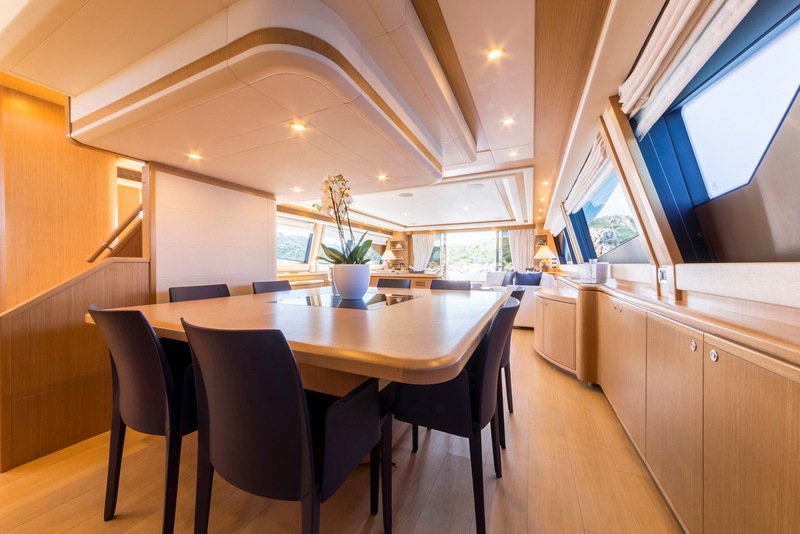 On the aft deck, charter guests will find a large table with seating. 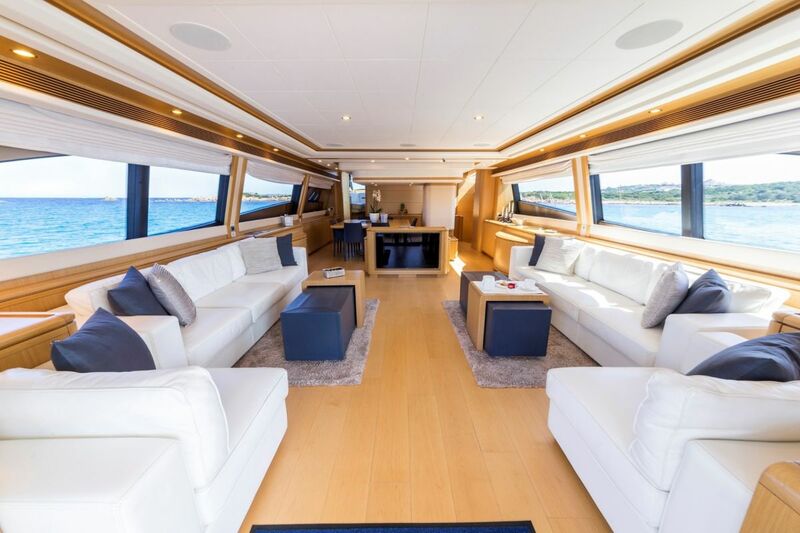 The foredeck offers an intimate sunbathing area to enjoy the sun while cruising the Sardinia coastline. 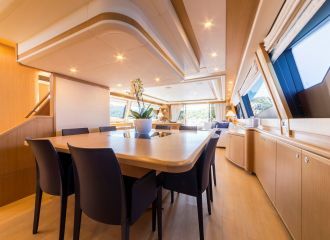 The flybridge is the perfect place to relax and unwind with its large sunbathing area that can be turned into an alfresco dining. 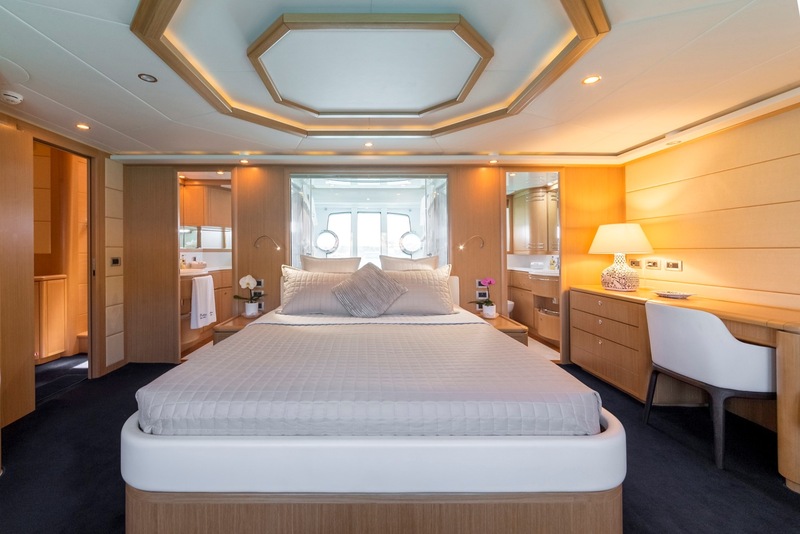 The elegant interior of this Ferretti 881 RPH yacht features 4 cabins including a full-beam master, a VIP and 2 twin cabins with an additional Pullman berth each meaning 10 guests in total can sleep onboard. 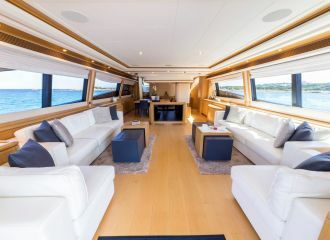 total 10333	€ Excluding VAT and APA ?